Born in Accra, Aboagye made his senior debut for Inter Allies, after being promoted to Ghana Premier League side in his first and only season. 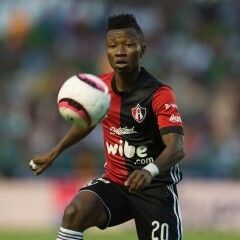 On 8 January 2015 Aboagye made his professional debut, coming on as a second half substitute for Riki in a 1–2 home loss against Sevilla FC, for the campaign’s Copa del Rey. He joined Atlas FC in Mexico and season loan long deal from Granada where he is making waves in the Mexican league. Clifford Aboagye has been very lucky to be one of the very few youth players to have featured in two FIFA U20 World Cups. He tasted the tournament for the first time in 2013 in Turkey where Ghana finished 3rd in the world and Aboagye also being named the Third Best Player of the tournament. He also captained the team in the 2015 edition of the FIFA U20 World Cup in New Zealand.